Of course you can also experiment a bit. 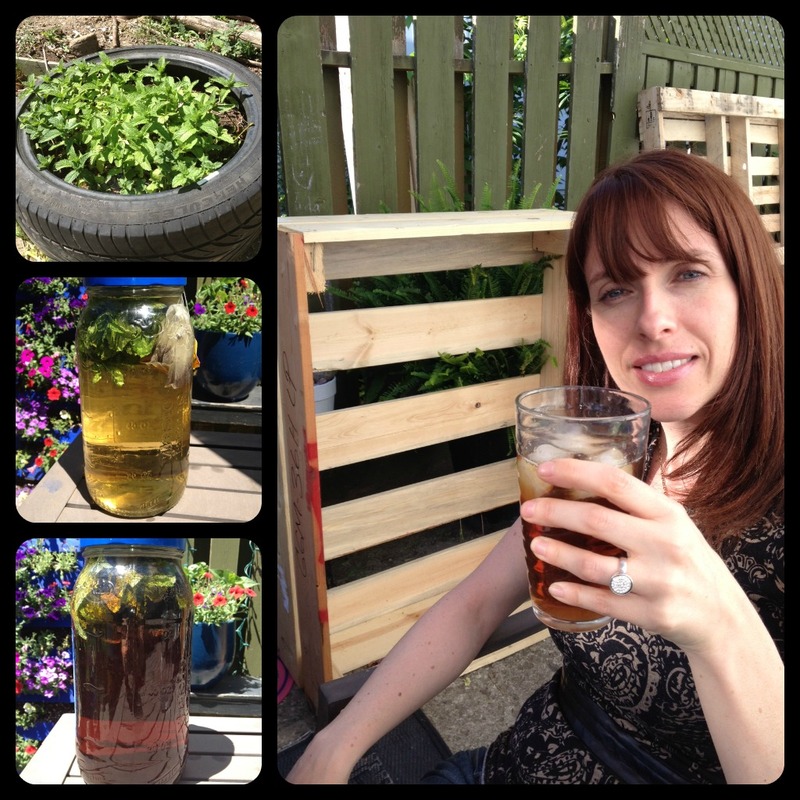 You can see that I have added some home-grown mojito mint to the jar. Ah yes, what a great way to recycle a tire and prevent mint from overtaking your garden (there’s gotta be some permaculture in that). That tire, mint, soil and all, was rolled over to its current location after… That’s a story I am not currently at liberty to talk about, but with enough positive interest might be able to convince my better half to let me. It's a good one! The Problem is the Solution: We Must do it for the Children! One often repeated, and somewhat puzzling, permaculture principle is that of “The Problem is the Solution”. What this means, or at least what I think it means, is that problems are challenges that provide unique opportunities to change. 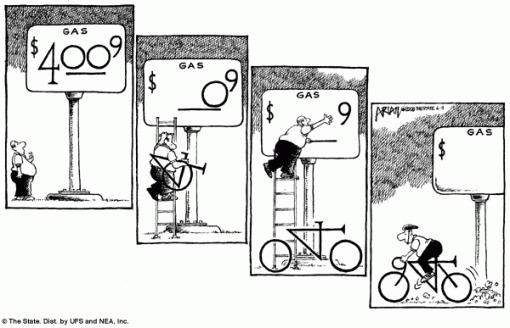 For example, the cartoon shows the “problem” of rising gas prices. One of the solutions to rising gas prices would be to use alternative modes of transportation including bikes. Now think of the advantages of riding a bike. They are cheaper than cars, do not pollute, do not have to be insured, don't take gas, and provide you with (perhaps well-needed), exercise. Of course there are problems with riding a bike as well, but these once again are opportunities to find unique solutions for. One of the biggest problems facing the world is that of overpopulation. The problems associated with increasing populations are nothing new; Thomas Malthus wrote about them some 200 years ago. He basically stated that if a population exceeds the resources available then it will be reduced through “misery and vice”. In biological terms, this is related to the concept of the carrying capacity of a given area of land, i.e., the number of organisms the resources of a given area of land (or water) can support. Populations crash, and by crash I mean large numbers of individuals in the population die, when the carrying capacity is exceeded. Discussions on the growing world population and the dangers it poses can be somewhat numbing with all the facts and figures that you can find on the Internet. For example, the world's population is at, or is fast approaching, 7 billion people. A billion is a number that I find hard to comprehend (is nothing compared to a trillion, which is a number that is commonly thrown around when discussing the debts of countries…). To better perceive the immensity of a billion, David Schwartz in his book “How much is a million?” writes: "How big is a billion? If a billion kids made a human tower, they would stand up past the moon. If you sat down to count from one to one billion, you would be counting for 95 years. If you found a goldfish bowl large enough hold a billion goldfish, it would be as big as a stadium." Comparison such as these put the large size of these numbers in perspective. You can also put things in perspective by looking at how things change through time (my background in paleoecology, the study of past ecosystems, makes me particularly sensitive to historical changes). For example, my grandfather on my Dad’s side was born in 1898, at the time when the world population was at approximately only 1.6 billion people. This means that in only 100 years, in the lifetime of someone that I knew, the world population has more than quadrupled! There will come a time when our population will exceed the Earth's carrying capacity. It is very possible that we already have and are only surviving thanks to one time infusion of stored solar energy commonly referred to as fossil fuels. In any case, no one can argue with the fact that you cannot have unlimited growth on finite resources. So, how does this all relate to the permaculture principle that the problem is the solution? Well, one way of looking at it is to see that children are the problem. After all, if the population is growing them they are the ones that are increasing in number. If humans are to continue living on Earth then our children (and their children, and so on) will have to be able to live on it in a manner that is within the Earth's carrying capacity. What better way to do that than by teaching them the knowledge needed to design sustainable human habitats based on ecological principles and observations? 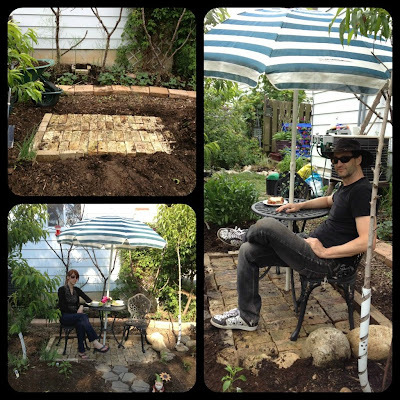 In a word, Permaculture! With this in mind, last week I started designing permaculture lessons that I could teach my two kids. While they have been subject to many informal lessons while we garden or talk about world issues, they have not been taught permaculture in a formal manner. 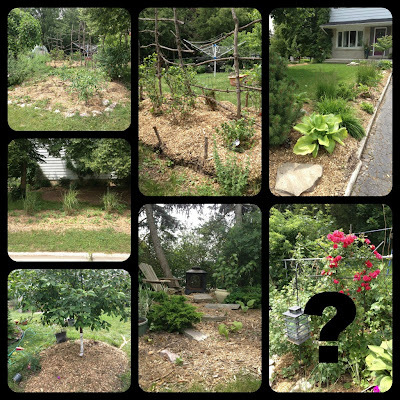 To help develop the lessons, I took a lesson plan template that I had from teachers college and modified it so that I could create permaculture lessons in an organized manner. The original template had a box where one listed the Ontario curriculum expectations that would be covered in any given lesson. I left this box in so that I could match my permaculture lessons with the Ontario curriculum so that when I eventually, hopefully, someday, have a teaching position, I can easily bring permaculture to a wider audience in the classroom. 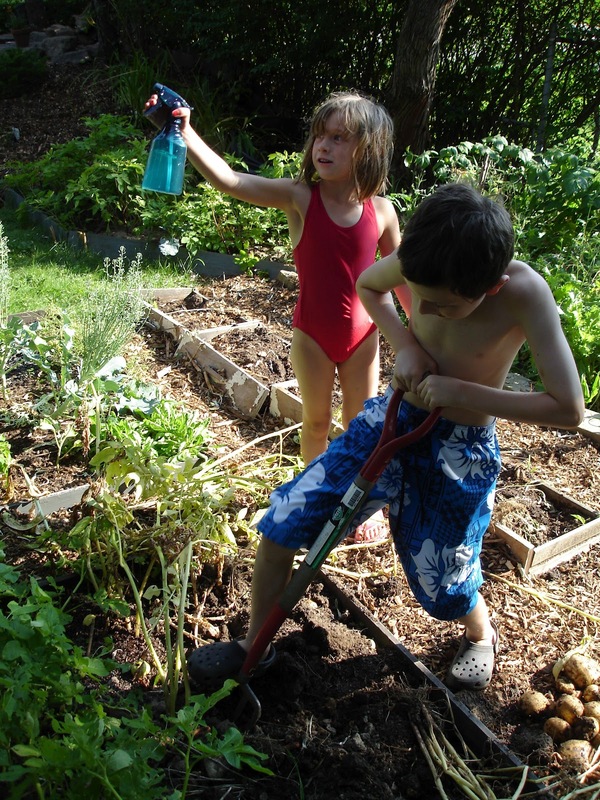 Teaching my own kids permaculture is directly aligned with permaculture's prime directive, “The only ethical decision is to take responsibility for our own existence and that of our children. Make it now". 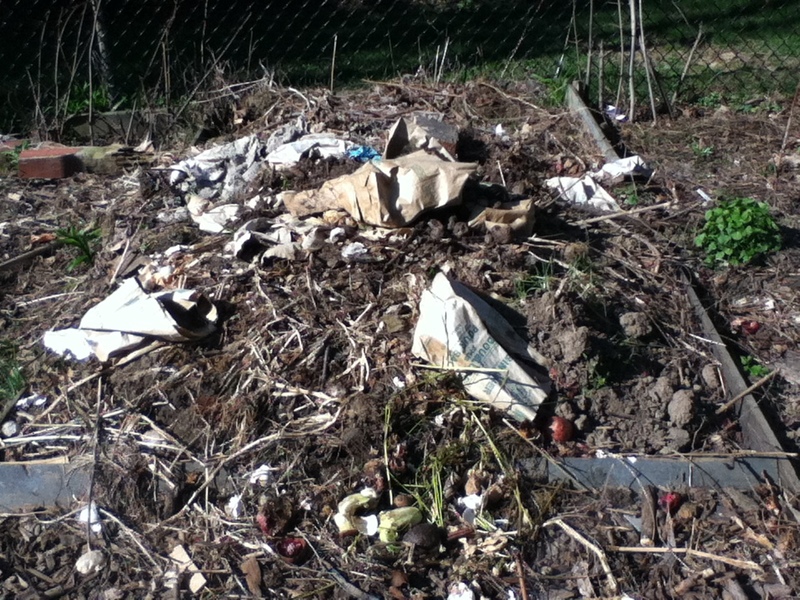 It also follows several permaculture principles in addition to the previously mentioned The Problem is the Solution. It has a Local Focus that follows the concept of “think globally, act locally”. It makes use of Onsite Resources, namely, my kids. With only two students, it starts at a Small Scale, but can be scaled upwards by teaching the lessons in the classroom and sharing the lesson plans with others. I would also like to state that it follows another permaculture principle that I have humbly coined, which is a call for action: Positive Steps Despite Pessimistic Predictions. This neologism reminds us that the race isn’t over yet and to keep going despite the odds. 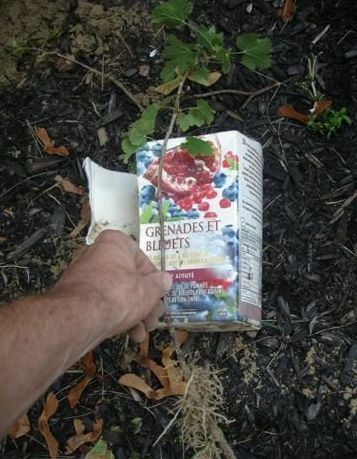 Guerrilla gardening refers to planting flowers or vegetables on land that is not your own. Often the land is abandoned or is a bare patch that belongs to the city. Guerrilla gardeners do these plantings for many reasons including making a green political statement (Food Not Lawns! ), beautifying empty or brown spaces, and growing food for themselves and others. The practice takes its name because the plantings are often done in a secret, “guerrilla style” manner due to the fact that it is occurring on land that is not theirs. While I do not belong to a para-horticultural organization, I have done a little bit of guerrilla gardening on my own property. I will describe one such covert action that occurred when my better half went shopping. 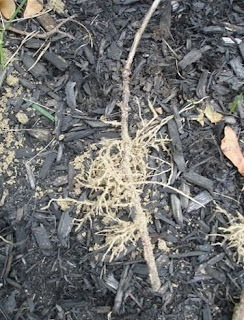 My mission was to turn my side yard, which resembled a sparse, barren, steppe-like grassland, into a life-sustaining, food producing patch of goodness (see Potato Patch Pictorial below). I only had a couple of hours to perform the operation, so I had to move fast. I quickly overturned the sod in a semi-oval perimeter around the four clumps of zebra grass. I then worked inwards turning the grass over. Yes, I know, permaculturalists always preach against digging in preference to creating no-dig mulch gardens. However, I am not against doing a quick dig, as it can give both the plants and the soil forming process a head start. It is also handy to turn the grass over if you happen to be a little short of mulch, which is often the case. 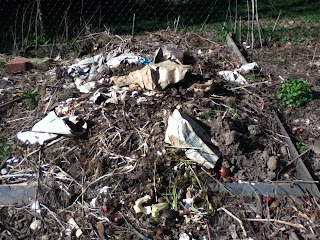 The next step was to empty a few bags of leaves onto the freshly turned earth. I always try to save my leaves just in case I get the hankering to make a new garden patch. I also added a little bit of peat moss to the soil. Please note that I try not to use peat moss because its use results in the destruction of wetlands. Potatoes were then placed in rows on top of the leaves and soil. Finally, I covered the whole patch with wood chips. You can get free wood chips from your handy dandy local tree cutter. 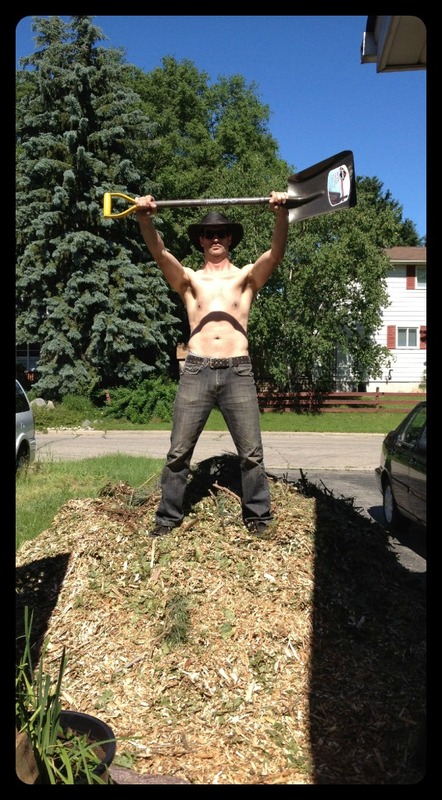 They are usually more than happy to dump a load of chipped trees on your driveway or yard, as it means one less trip to the city recycling centre or wherever they have to bring it. The side yard. So unproductive. So barren. Digging around the zebra grass. 'Taters ready to be covered with wood chips. The finished product with potato plants coming up.